Roman mosaic floor dug up at Low Ham which is near to High Ham. It is currently on display in the Museum of Somerset at Taunton. 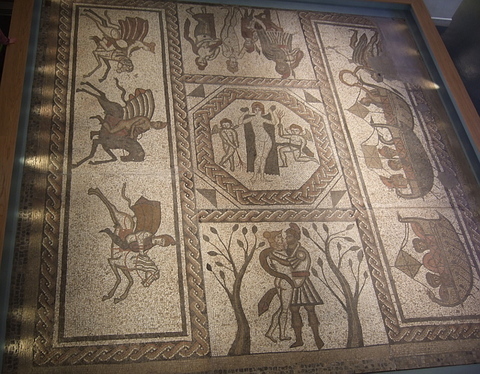 The mosaic shows scenes from Virgil's Aeneid.